Slevin was like most 8-year-old boys. He was smart, strong, and very independent. He never needed help with anything and never asked for help. That's because he lived in the land of Ican (pronounced I can). No one ever asked for help with anything. That is, no one except Slevin's mother. Every day she would tell him, "Son, there is coming a day when you are going to need help from Someone smarter and stronger than you." He would just smile and say, "Oh Mother, I can do everything by myself." But one day something happened that changed Slevin's whole way of thinking. He was confronted with the most difficult experience he had ever faced in his life How would he do it? How could he do it? Come join Slevin on his most exciting and challenging adventure. 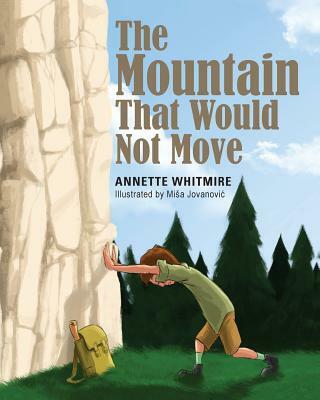 The Mountain That Would Not Move by Whitmire, Annette was published by Chalfant Eckert Publishing in October 2016. The ISBN for The Mountain That Would Not Move is 9781633082441. Be the first to review The Mountain That Would Not Move! Got a question? No problem! Just click here to ask us about The Mountain That Would Not Move.